Solid wood furniture expertly executed reveals brilliance in its simplicity. 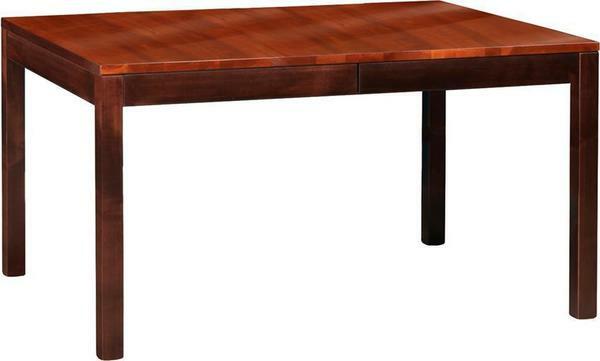 Welcome the Amish Lillie Table into your dining room and enjoy an exquisite solid wood leg table. Hinting at shaker style furniture, this dining table is shaped perfectly and built strong to perform well. Modest thickness in the squared legs. The Amish Lillie Table is shown here with an elm wood top and brown maple wood frame. Three heights to choose from including 30", 36", and 42"
Select options yourself or feel free to get some guidance. Experienced Amish Furniture Specialists are happy to help you out. We can be reached by email or phone and would love to help you with your new furniture. Thank you for taking the time to shop at DutchCrafters.